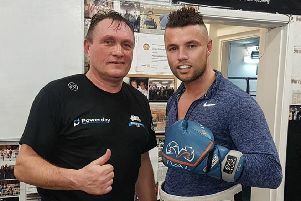 Prestonpans boxer Josh Taylor will contest his World Boxing Super Series (WBSS) semi-final against Belarusian Ivan Baranchyk despite reports suggesting his opponent had withdrawn from the competition. Rumours had surfaced that 26-year-old Baranchyk, who resides in Miami, had contacted the competition’s organisers to inform them of his decision to pull out of the series due to late payments from his quarter-final triumph over Anthony Yigit. However, WBSS have confirmed the duel will go ahead as planned at the SSE Hydro in Glasgow on Saturday, May 18. 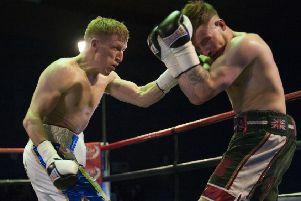 WBC Silver champion Taylor produced a masterclass in his last-eight showdown against America’s Ryan Martin at the Hydro in November, securing a seventh-round stoppage in front of a partisan crowd. And should the the 28-year-old overcome his opponent in just more than three months’ time, he will not only set up a WBSS final against either Regis Prograis or Kiryl Relikh, he will be crowned the new IBF world super-lightweight champion.